This is a story about the Buddha and the Intern. 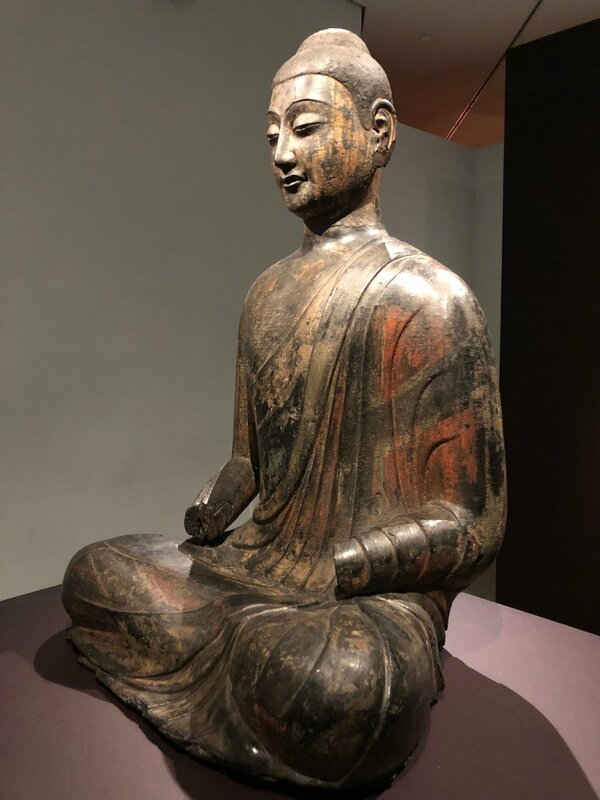 The Buddha was an enlightened religious leader who, through his teachings, focused on the importance of living by the Noble Eightfold Path...right views, intention, speech, action, livelihood, effort, mindfulness, and concentration. Buddhism teaches that the Buddha is also part of all things and can be seen in every person as they practice mindfulness and compassion. The Intern is a soon-to-be graduate of Hood College who spent a semester helping Hunter Crown and TalentCMO with social and mixed media marketing. She also likes to attend EDM (electronic dance music) festivals, wear crazy sunglasses, and write “Thank you” notes in Arabic. The Intern had worked with one of our clients to help develop employer brand videos. These videos featured recent hires who shared their experience of finding out about the client’s company, the process of applying to the company, and the work they’ve been doing over the past six months to a year. These videos will be used as part of a recruitment marketing strategy. By sharing them across social and on the client’s website, the goal is to encourage other talented applicants to apply to the company. The videos help them get an inside look at the process and positive outcome. The challenge is getting this valuable content in front of the right eyeballs. Given that the Intern had developed this content, she was invited to a meeting with one of the founders of the client company. She mindfully listened to the conversation between the founder of the client company and me as we discussed marketing strategies and candidate flow. We discussed adding some of the videos to the company’s career page. But how do we get eyeballs to the career page? This was something we had not discussed, not then, not ever. The company had just had their site redeveloped and no one knew if this page had been SEO’d. After the meeting, I contacted the web developers and learned that the career page had been added later and had not been SEO’d. The messages were there, the opportunities were there, but we had not done the work to make it easy for talented candidates to find what might be their next great opportunity. I thought about how the Intern could have been so incisive and clear with respect to what we should do next. She does not have decades of experience or massive internet marketing credentials. What did she have or understand that allowed her to see so clearly what needed to be done? This brings us back to the Buddha. Like the Buddha, the Intern mindfully listened and observed what was being shared. The Intern had a heart of compassion for the company as she greatly respected their work, culture, and leadership. By being mindful and compassionate, the Intern could see more clearly and therefore could speak more clearly. Her right speech rang with clarity as she suggested that we look at the site’s SEO. The moral of this story has nothing to do with religion or dogma. It has everything to do with how we can improve the results of any outcome by being a bit more mindful and compassionate. Mindfulness flows to create mindfulness, compassion flows to create more compassion. Everyone and all outcomes are made better. Everyone can be a teacher and a student. Thank you to the Buddha and the Intern. Have hiring and/or recruiting needs?